My hubby refers to the person he’s living with right now as “Summer Carie.” Summer Carie is a little crazy. She stays up late but also, somehow, gets up early. She reads for hours on end, only stopping to skip over to her husband, kiss him on the cheek, and tell him her latest idea for a creepy short story. Summer Carie decides on a whim to turn an old skull candle into a bird feeder or clean out the medicine cabinet or reorganize all of the books in her house. She takes walks and naps and texts her husband far too often while he’s at work. Summer Carie can be a bit exhausting, but she’s happy and relaxed and carefree and creative. I love being a teacher, but I also love my summers. I NEED my summers. Without them, I would not love my job. I haven’t once checked work email since the last day of school (I probably should, I will eventually) and I haven’t planned any lessons. Right this moment, I can’t even tell you what day we go back to work (and I don’t want to know). But every day, while I rearrange books and work puzzles and make bird feeders and take pictures of raccoons, somewhere in the back of my mind I’m thinking, “Could I use this in my classroom? Could this tie in to a lesson? How could I share this experience with my students?” I’m always a teacher, even when I’m Summer Carie, and I think I’m a better teacher upon returning to work because I allow myself this time. Please don’t hate on teachers because we get the summers off. It’s not why we do the job. It’s why we CAN do the job. Ok, I’m off to hide something that belongs to the hubby and leave him a trail of sticky note clues to find it. Summer Carie strikes again! The Lady Bird Johnson Wildflower Center is an “internationally recognized botanic garden dedicated to inspiring the conservation of native plants in natural and designed landscapes” located in Austin, Texas. * In other words, it’s a pretty, outdoor-y, nature-y place where you can take walks, learn about flowers, swing in swings, watch turtles and owls, look at art, climb a tower, listen to giant wind chimes, eat a snack, and generally enjoy the outdoorsiness and leafiness and buzziness of life with your friends, your family, or yourself. ** And I am incredibly lucky to live within walking distance of it. I love visiting the center and have always wished they were open longer hours, especially in these warm summer months. *** Well, I must have wished loud enough because they now stay open until 8PM on Tuesdays and open at 7:30AM on Thursdays and Saturdays. Hooray! Thank you, whoever made that decision! ** For some reason, the Wildflower Center did not ask me to write the text for their website. ??? *** It’s only June and already our nightly low is 77 degrees. Did you get that, northerners? Our LOW temperatures are almost 80. Yeah. So last Thursday morning, in an effort to adhere to my summer goal of making exercise a habit, I got up at 7:30 and walked to the Wildflower Center. I was looking forward to seeing the place at a new time of day, to see what was awake at this early hour and maybe catch a glimpse of a new bird or cute critter. As soon as I got there, I hit the trails. I’d passed a couple of employees on the way in, but I didn’t see or hear any other guests. It was just me and the blue sky and the bugs. I’m alone, I thought. I have the entire place to myself. No distractions. I didn’t even bring my cell phone. I smiled. Then I came around a bend in the path and saw a giant snake skin hanging from a tree. It was at least four feet long, and it hung from a branch at least ten feet above the ground. Now, let’s get something straight. I am not afraid of snakes. I respect snakes and am appropriately cautious of them, especially the dangerous ones, but I like snakes and enjoy seeing them in nature from a safe distance. However, there is one thing that I just do not agree with about snakes, and that is their ability to climb trees. No. No, no, no, no, no. Just no. Snakes should stay on the ground, as the universe intended. This is not at the Wildflower Center. This is a photo from the day a six-foot-long coachwhip decided to come to my backyard to eat its lunch, which happened to be a two-foot-long garden snake. Also, I had just read an article the day before about a man in Corpus Christi who cut the head off a four foot rattlesnake and then got BIT BY THE SEVERED HEAD. The man survived but was in really bad shape. So, I’d just come up with a new rule that dead snakes should stay dead and not bite people. Furthermore, I was not actually looking at a snake in its natural habitat. I was looking at a large snake SKIN. In a TREE. Which meant there was a EXTRA-large (too large to fit in that skin), fresh, tree-climbing snake somewhere nearby. I’m alone, I thought. I have the entire place to myself. I DIDN’T EVEN BRING MY CELL PHONE! Despite coming down with a severe case of the willies, I did not turn back. No, not this determined trail-walker. I forged ahead, staying on the path and keeping an eye out for fresh snakes above, below, beside, and all around me. Once, when I got too close to the edge of the path and a piece of spear grass brushed my ankle, I let out a high-pitched squeak that a person sitting on their porch in my neighborhood probably mistook for a coyote bark. But all was well. I made it out of the Wildflower Center alive. When I left, more morning guests were arriving, which made me happy because I want them to keep these new hours. In the busy parking lot, I saw one of my favorite critters: a large, brown, Texas tarantula. She was on the move, scurrying quickly, obviously with places to go. Unfortunately, the places she needed to go were on the other side of the driveway, and a car was coming. I couldn’t bear to see her get squished, so I stepped in front of the car, pointed at my little friend, and mimed for them to please wait until she had safely crossed. They did. I recently learned that while male tarantulas often don’t live more than a few months, females can live up to 40 years. I don’t actually know the gender of the one I met, but I like to think that I helped a little old lady cross the street. This is a Texas tarantula next to my hubby’s hand. Both of them were very good sports for this photo. I survived my morning walk. I got some exercise. I saw some sights. I plan to go back this week. I think maybe this time I’ll take my cell phone with me. Writing is like exercise, and I am out of shape. Writing is difficult, at least for me. I’m a perfectionist and a procrastinator, who’s easily distracted by new ideas, cute animals outside my window, and chocolate. None of these qualities do a consistent writer make. I’m also a teacher, and during the school year I’m a slave to my job, spending so much time teaching and grading and planning and collapsing from exhaustion, that a rarely write. It’s not that I don’t have time to write. I do. I could. Others do it, and I exist in a state of constant awe of those people. But I don’t. Yes, I can pen a poem now and then, blog a couple of times a month, and maybe work on a short story. But the deep dive into novel work? No, I can’t take that plunge. I’ve tried. I’ve failed. I’ve quickly come up gasping for air. So, yes, writing is hard, and the longer I go without doing it, the harder it becomes. For real writing to happen, it must be a habit, and in order for something to be a habit, you have to start small. Anyone who’s ever tried to sprint without warming up first knows it’s a bad idea. You have to stretch. Build up your muscles. That’s why I’m back to using 750words.com. This site’s monthly challenge has been the kick I’ve needed in the past, and I hope it will be the habit-builder I need now. On June 1st, I sat down at my computer (which was hard to do) and started typing (also hard). I used a prompt from my Storymatic cards, thought of a random scene in my novel, and wrote, sluggishly, for fifteen minutes or so before running out of steam. By that point, I had 295 words. And they weren’t good. I doubt any of those words will ultimately make it into my novel. But I wrote them. And when I couldn’t take that scene any further, I stayed in the chair (which was the hardest of all) and kept writing. I wrote some questions about my novel (to be answered later), then I wrote some of this blog post. After an hour and twenty minutes in front of the computer, I finally got to 750 words. It wasn’t easy. It wasn’t pretty. But I did it. And then I went for a walk, because actual exercise is on my summer list too. For me, discipline in writing requires discipline in all aspects of life. I’d love to be able to sleep until ten, eat junk food all day, watch some TV, and then sit down and write a couple thousand brilliant words, but that’s not how it works. I need to move, be outside, drink lots of water, and fuel my brain with inspiration if I’m going to bring my best, consistently, to the page. That’s why, in some ways, my summer routine is more vigorous than my school year one. It includes daily walks, yoga, or swimming, as well as a healthy(ish) diet and plenty of reading time, both for fun and for research. Equal amounts of coffee and water. Equal amounts of sitting and stretching. Fewer naps and more walks. No TV during the day and time to read the latest Writer’s Digest. I will not be perfect. Far from it. But if I don’t even make the effort, I won’t come close to succeeding. Already this summer, I’ve been more active in brain and body than I have in weeks, and it feels good. There will be lazy days and gooey chocolate brownies in my future, but hopefully they will be rewards well-earned. Writing is hard, so writers need motivation to keep going. There’s no point in sprinting if you don’t have a destination or a finish line or something scary chasing you, so it’s important to set goals. Goal setting is something I enjoy, but I’m not always smart about it. As a teacher who’s also a writer, I put a lot of pressure on my summers. The lists of things I want to accomplish is often enthusiastic to the point of overwhelming. Last year, my summer to-do list was three pages long and included all sorts of unrealistic expectations for someone just coming off her first year back in the classroom. At the end of the summer, I checked off some things, crossed off a lot more, and wrote “Hahahaha!” next to a few lofty objectives I didn’t come close to meeting. Realistic goals are key, and I’m trying to get better about that. Also, motivation can come in many forms. It doesn’t have to be a finished novel. It can be the stay-in-bed day you promised yourself if you meet your word count for the week, or it can be a submission deadline for a publication you want to send your work to. Whatever it is, most of us perform better with a carrot hanging in front of us, so it’s important to find what motivates you and work toward it. I was fortunate enough to receive a very nice piece of motivation this week. I’m so proud to announce that my current work-in-progress won first place in the middle grade category of the Writers’ League of Texas Manuscript Contest. This honor has earned me entrance to the always-awesome WLT Agents & Editors Conference at the end of this month, as well as a ten-minute consultation with the agent who chose my work as the winning entry. I’m incredibly excited about this opportunity, and now have a LOT of work ahead of me. I want to progress my novel as much as I can before the conference, so that I can (hopefully) speak intelligently about it to editors, agents, and fellow writers. Wish me luck! In the end, though, none of that hard work will matter much in June if I don’t keep writing in July. And July’s work won’t mean much if I give up in August. So I must find new motivation and maintain discipline and keep getting to the page. 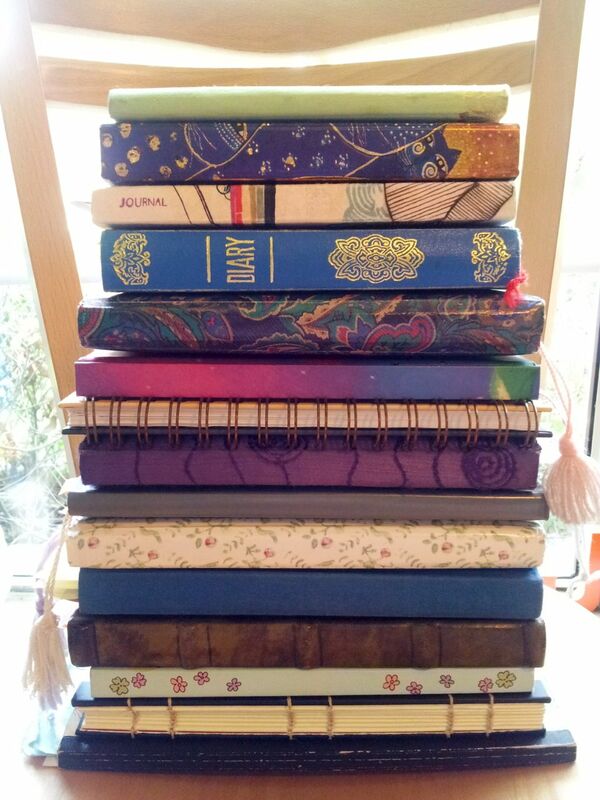 Maybe, just maybe, if I fill my summer with words and truly make writing a habit, I can keep it up come September.